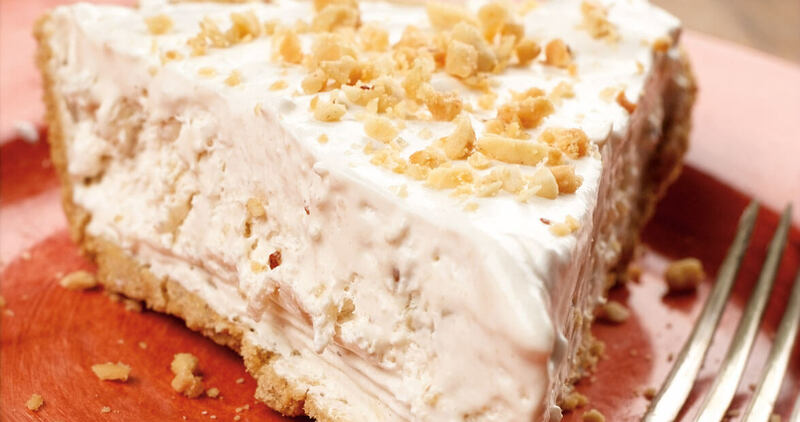 This frozen pie recipe from A Taste of Shiloh is a delicious cold treat for any peanut butter lover. Whip cream cheese at low speed. Beat in sugar and peanut butter. Slowly beat in milk. Fold in whipped topping. Pour into crusts. Top with chopped nuts, if desired. Freeze until firm. A Taste of Shiloh is available for purchase at Shiloh General Store and Bakery, 5520 Street Paul Church Road, Hamptonville or call (336) 468-4789.